Addicted to nomadic life, hooked on Penang and bound to the street, the young Lithuanian creative, Ernest Zacharevic is quite the character! 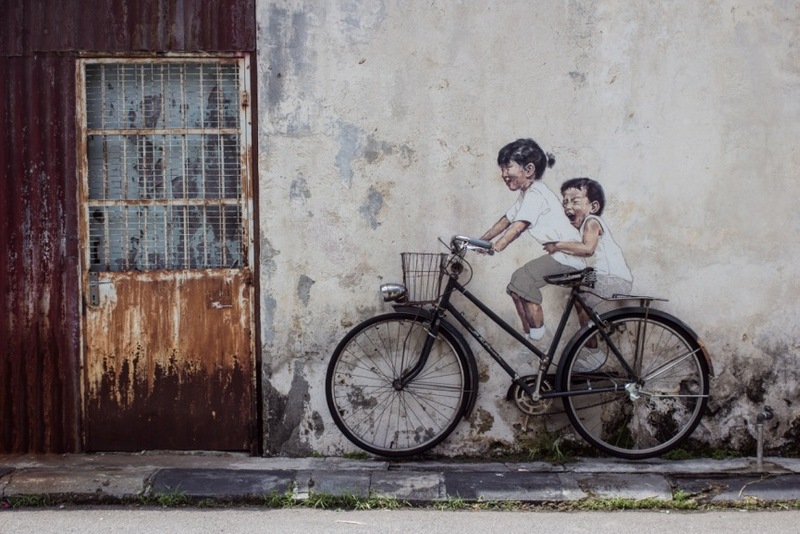 Having made a successful show in Malaysia this January in his preferred town of the moment, Zacharevic is preparing his first ever exhibition in Europe. His inauguration into the western street art scene is to occur in the beautiful Barcelona, hosted by Montana Gallery. The show is titled Rock, Paper, Scissors! 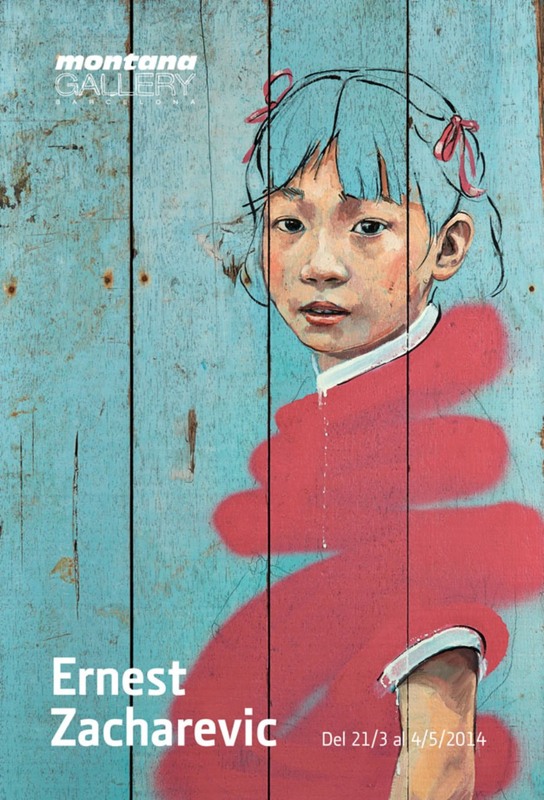 evoking the media of the display, but also the overwhelming infantile and charming spirit of Ernest Zacharevic’s body of work. Paper, Rock, Scissors! will open on March 21 at Montana Gallery, and it will remain on view through May 3, 2014. The exhibit will be a unique opportunity to gaze upon portraits and drawings on various materials, and to see different art objects that bear the essence of street life atmosphere. His lovely characters and naive genre scenes take us back to childhood, they make one smile and revisit the feeling of infinite possibility. The Barcelona show is a gallery presentation of the work usually inhabiting streets and open spaces. It will be more than interesting to witness what Ernest Zacharevic has in his pocket when it comes to smaller scale and paper-based media. 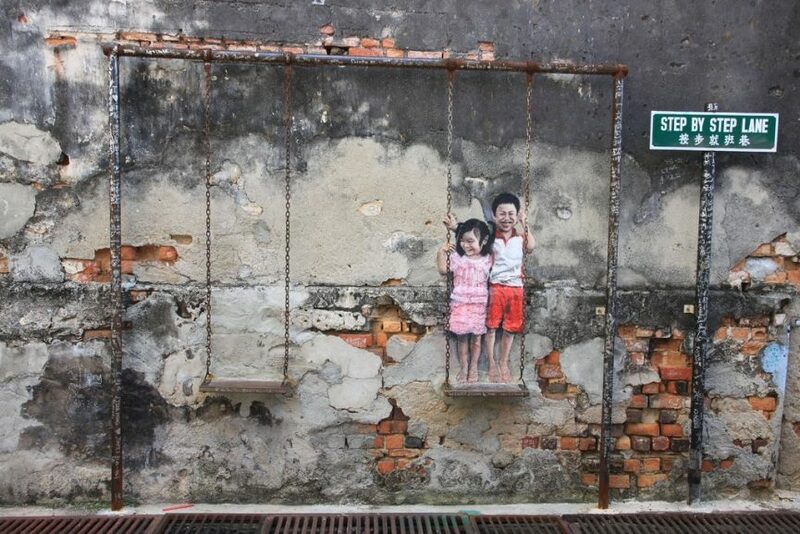 The style of Ernest Zacharevic can be described as immediate, childish, honest and real. Moving pictures of colorful kids playing around in the city are realistic, tangible and human, almost truly alive. The recycled objects he incorporates in some of his work serve to enhance the narrative, as he places his little characters on real bikes and motorcycles, and hands them real balloons to hold. The added dimension provides his work with an interactive quality and makes it even closer to the audience. Suddenly, the viewer will find himself playing with the imaginary kids, laughing with them and leaving completely charmed and uplifted. 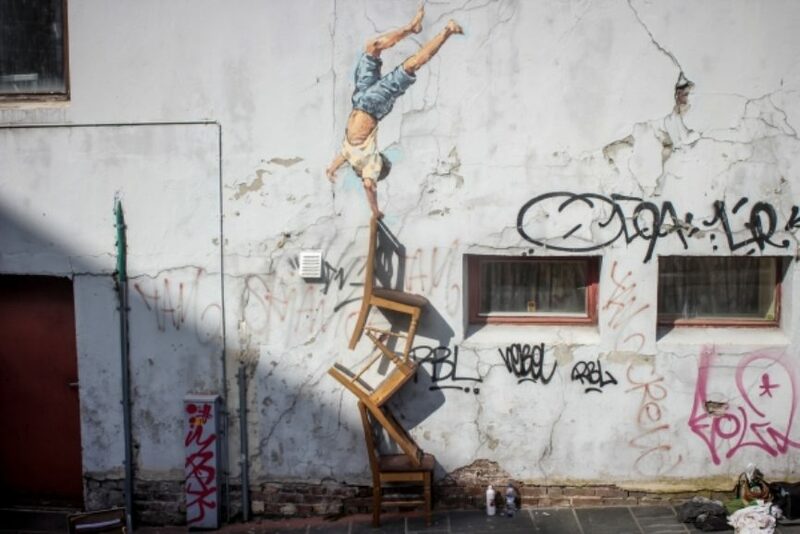 Born in 1986, Ernest Zacharevic a.k.a. Zachas, was raised in Lithuania, where he first exhibited artistic predispositions as a kid. Having found his studies in Lithuania to detached, he went to London to get in touch with the wider public. There, Ernest started developing works within the public space, vitalizing dull urban landscape with street art and murals fused with implementation of recycled objects. 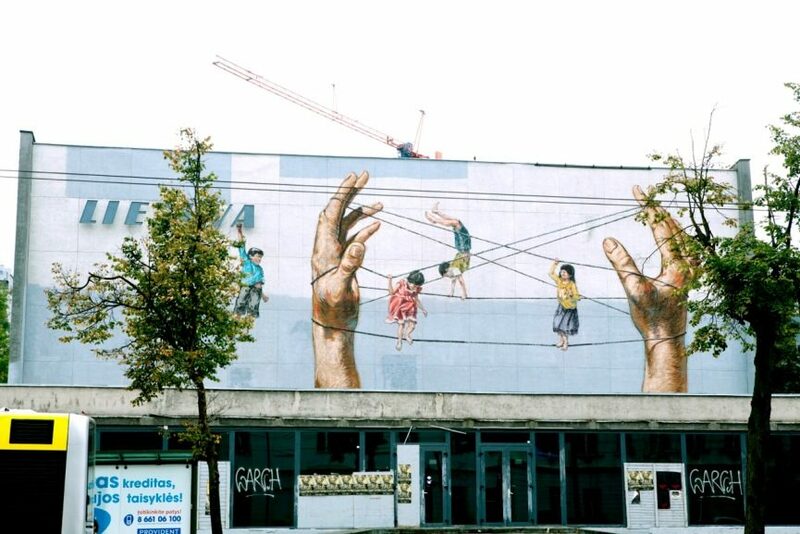 His murals can today be seen across Europe and Southeast Asia, and his popularity with the public grows, as does his official acclaim. For several years, Zachas has been officially based in Southeast Asia. 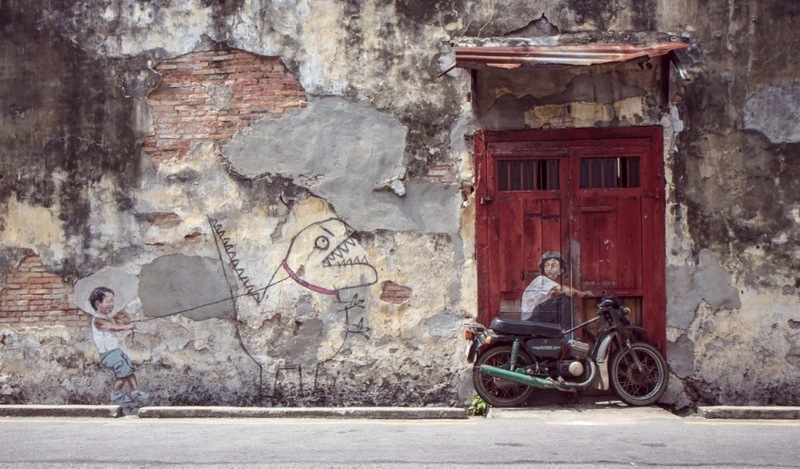 He first attracted the attention of the international art scene with the creation of large mural interventions scattered across the old town of Penang. 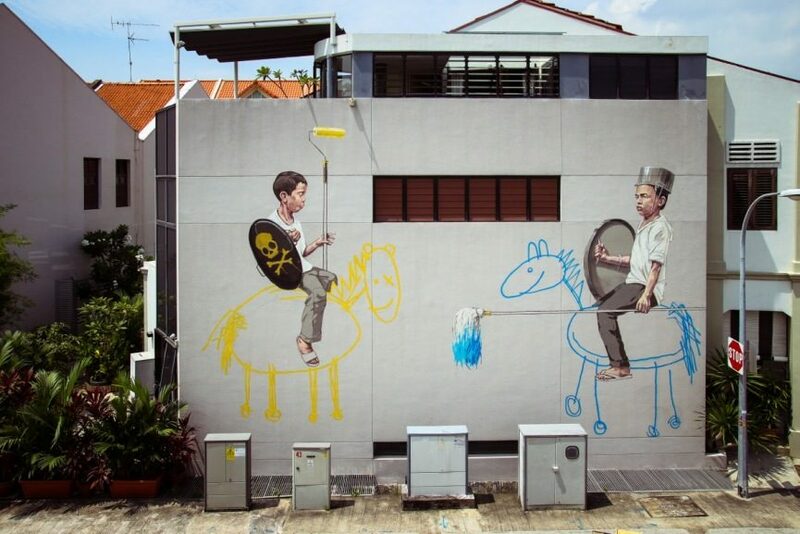 His illustrative style and the use of stencils earned him a nickname The Malay Banksy, as he is referred to by some. Montana Gallery is the only space in Barcelona dedicated exclusively to street art and graffiti. Since 2010, it has been led by Anna Dimitrova, presenting artwork by established and emerging artists from the local and international urban art scene.